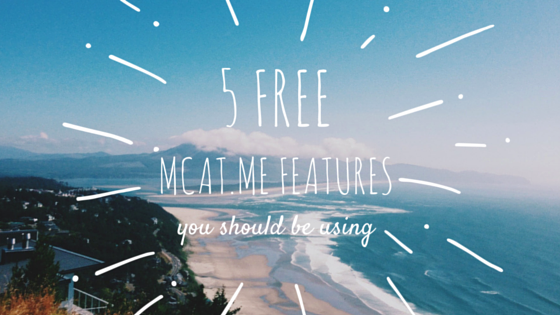 MCAT.me is 100% community supported, which means everyone gets access to free results-driven MCAT prep tools on an ad-free platform! Together students can share best practices and MCAT experiences to build their own strengths while supporting each other. 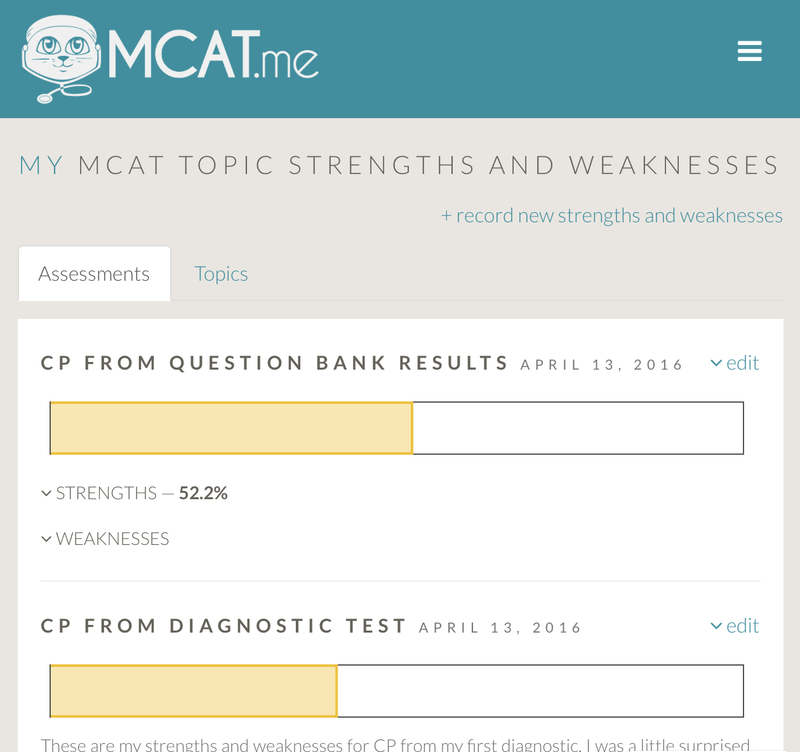 So why miss out on these awesome tools to power your MCAT prep? If you are not yet a member, sign up today! It's free to join! And start using these five free features today! 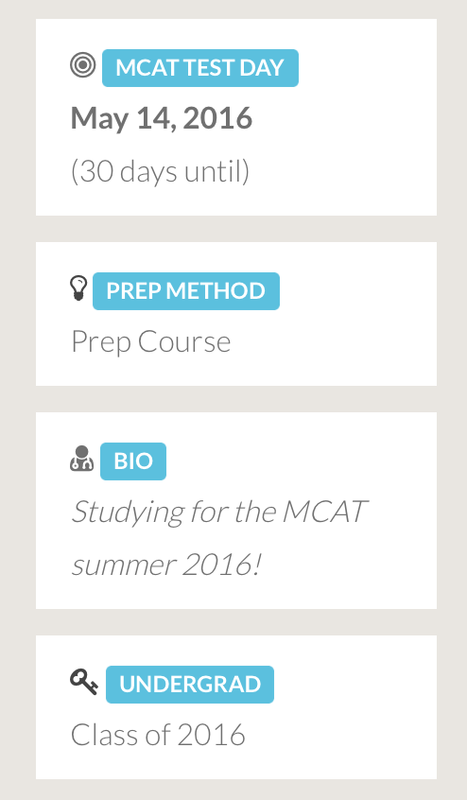 Stay focused on your prep from start to finish with a test day countdown right on your MCAT.me Dashboard! Find support among students that are studying alongside you by searching by test day, prep method, and more. Share your premed story or MCAT experience in your Bio! 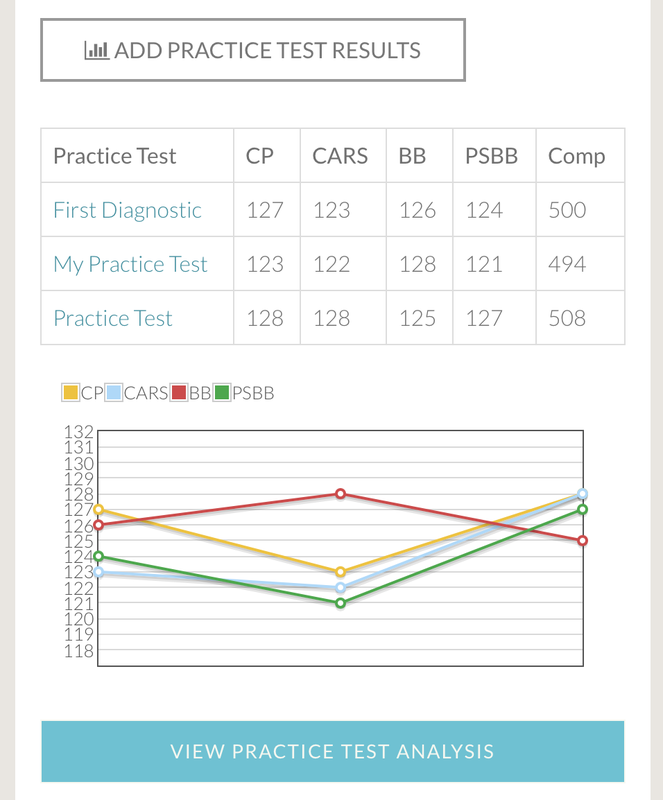 Visualize your progress across all of your practice tests with tracking and analysis by section, passage, or question! 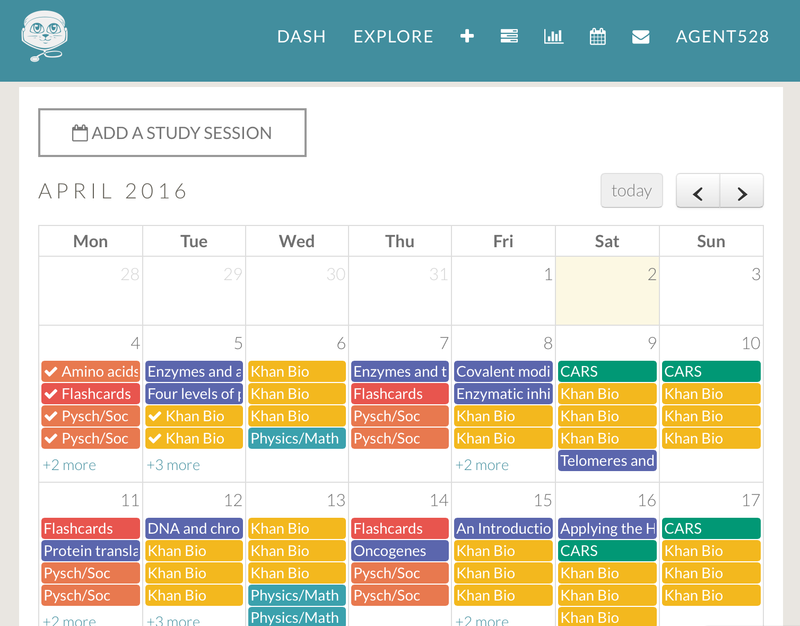 Plus it's easy to share your results with friends or a tutor. 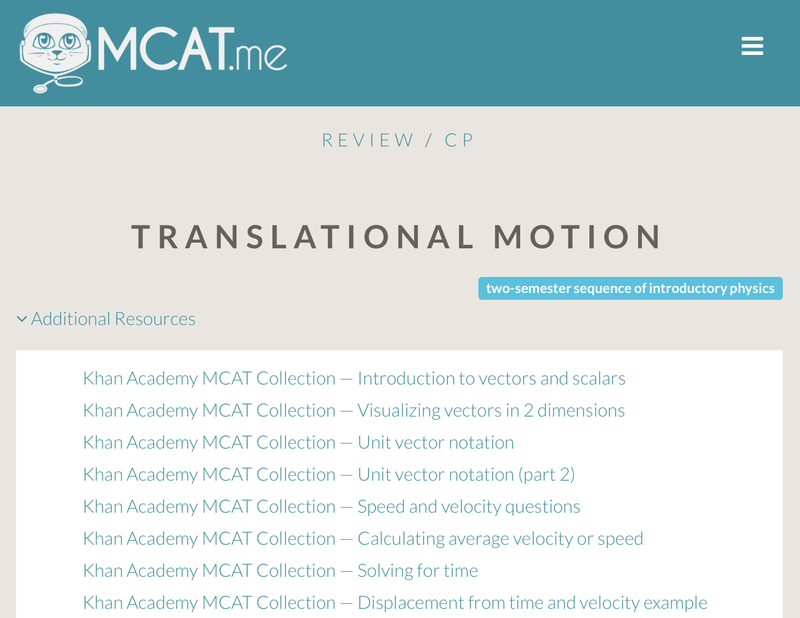 Browse all of the topics covered on the MCAT with reviews and links to additional resources! 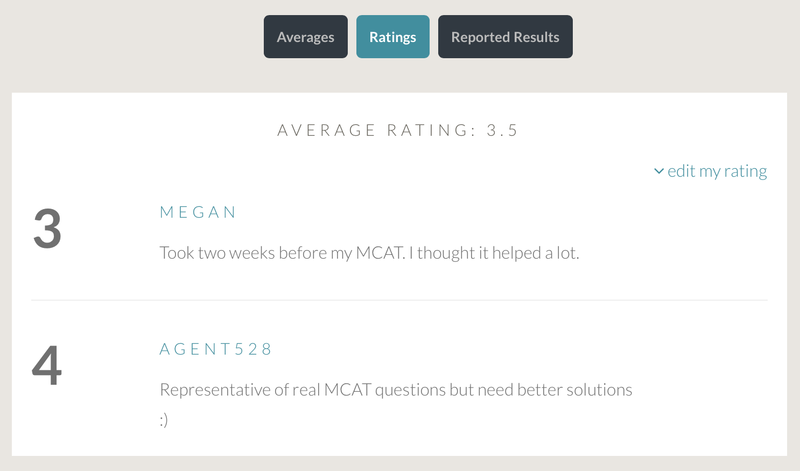 See what others are saying and share your own opinion of practice tests in preparing you for the MCAT! Share your practice test ratings! Bonus Check out these Premium Features!